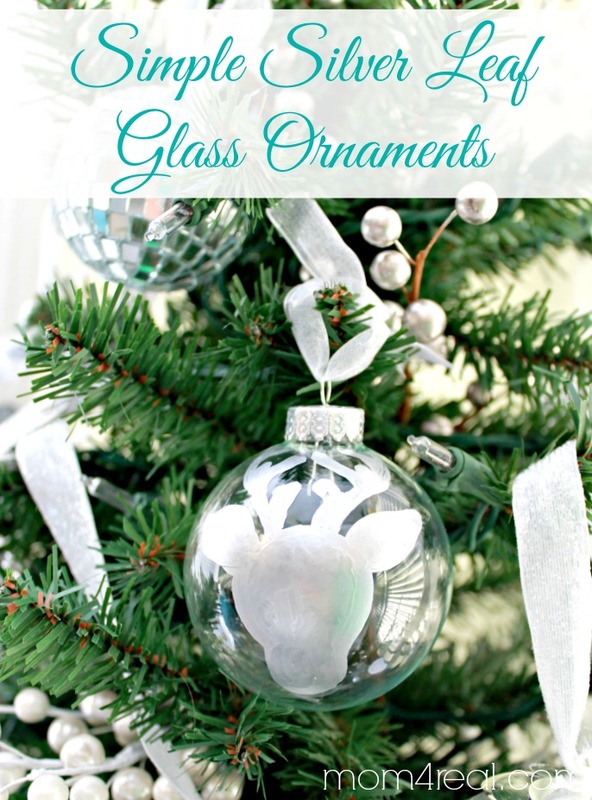 Simple Silver Leaf Glass Christmas Ornaments & A Giveaway! 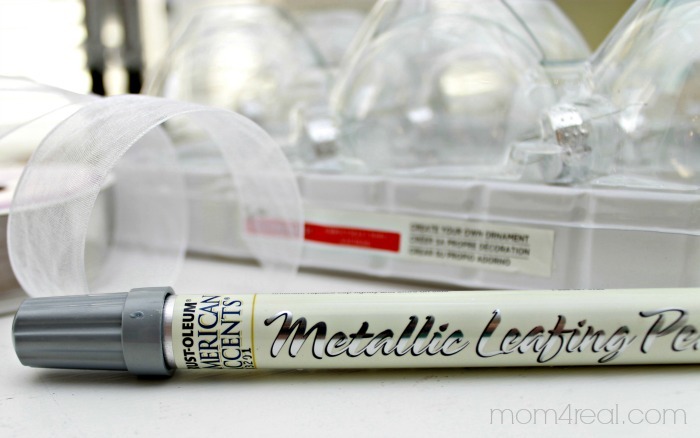 Onlinefabricstores.net supplies the Metallic Leafing Pen for this post…all opinions are mine. I started with some inexpensive clear glass ornaments, some ribbon for hanging, and this awesome Metallic Leafing Pen made by Rustoleum. 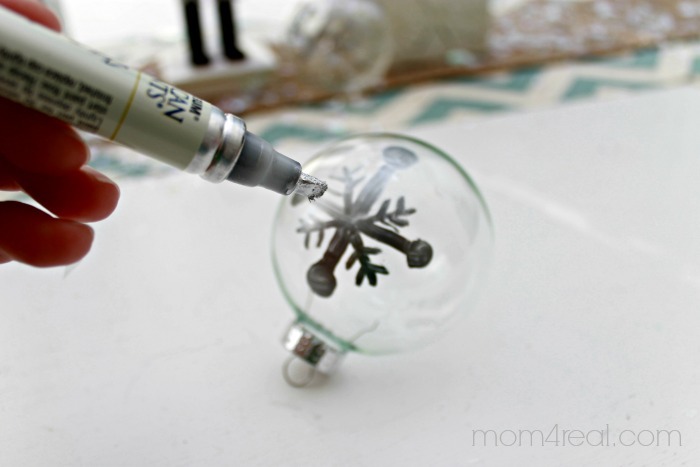 Now for my super secret trick…draw on the glass ornament with the leafing pen. Yep…it’s like you waited for a crazy complicated trick and BAM! It’s not tricky at all…it’s simple, just the way I like it! And a few more! I hung them with ribbon and stood back to admire the sparkle. Truly, I can’t imagine anything being easier than making these! Now…you are probably wondering how you can get your hands on one of these magical Metallic Leafing Pens. 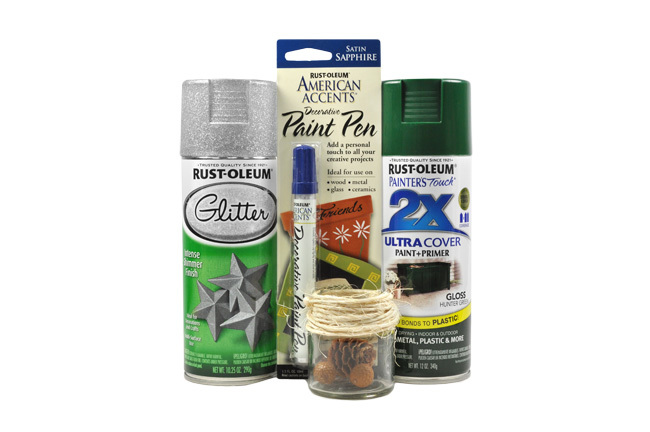 They can be found at my favorite online resource for fabric, decor, and now Rustoleum paint products…. OnlineFabricStore! This is where I go for all of the fabrics I use around my home, including that cute little chevron fabric tucked under the tree above. They have everything you can possibly imagine, and are now carrying Rustoleum products as well. This is the first of several posts where I am going to show you some of their awesome products! I am going to giveaway a $50 credit to OnlineFabricStore.net to one of you!!! All you have to do is leave a comment below using either facebook or the other comment box telling me what your favorite project from OFS is! Can’t wait, and want to shop now? For the next two days, you can shop OFS and enter the code Mom4Real5 to receive $5 off any $50 order…whoop! 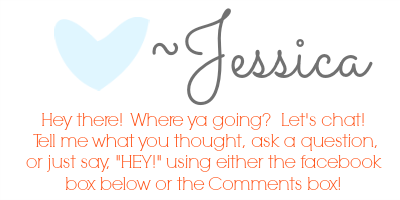 So…what are you waiting for? Let me know what your favorite product is, and you may be the winner! 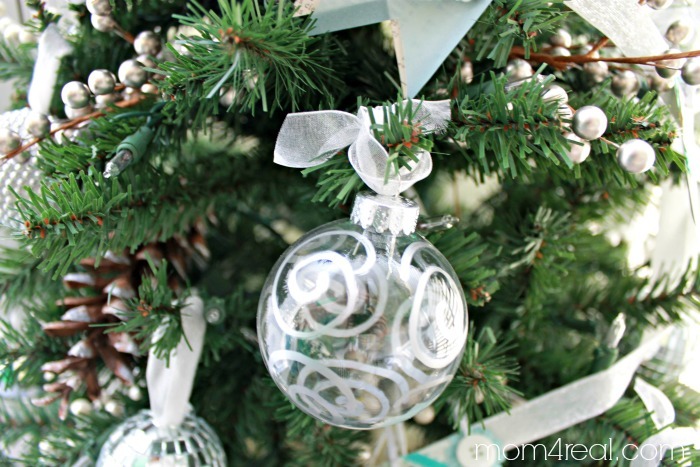 Don’t forget to pin one of the pics above so you can make your very own Silver Leaf Christmas Ornaments! Oh! I love the French Grain Sacks! SO CUTE!! Jessica, These ornaments are SO CUTE! I think I’ll make one for each grandchild with their name and drawing of something they each love. I really like the great variety of burlap at OFS for my handmade burlap flowers online at Etsy! Ordering from OFS keeps me well supplied and its quick and easy! Thanks OFS! They have a fabulous selection of decorator fabrics. I like the do it yourself fall wreath project. I’m a crafting nut. 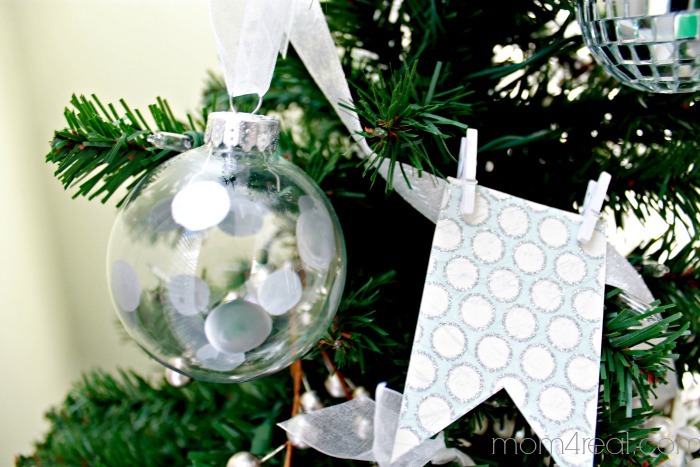 I love the idea of the Christmas ornaments you designed using a simple marker. Can’t wait to go buy some ornaments and a marker to try them. I really love their diverse fabric section. It’s so much better than what. Joann’s has to offer, and it’s also such great quality! I love their fabric selection – my favourite at the moment is the Joel Dewberry Sparrows in all three colours! Love your creativity, the reindeer is stunning. Love it! Love all the fabrics too. Love your blog too. I like all of the fun oilcloth prints, especially the Paradise lace pattern. Thanks for the giveaway! I really liked the Rustoleum Fabric & Vinyl Spray Paint, how neat!!! I love all their quilting cottons :) Thanks so much for this amazing giveaway! I am loving the “french grain sack-reproduction” bags. Oh the fun these would be to craft with! I love the Michael Miller fabrics! I love the furniture makeovers!!! 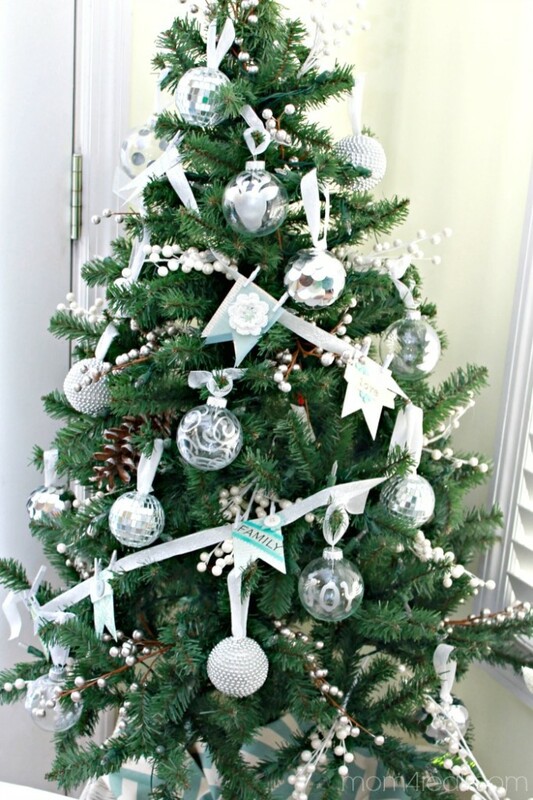 Love those ornaments! Going shopping tomorrow. I just love the large selection of fabulous fabrics! I like the new dyed burlap they just got in. Love the super cute fabric and burlaps. I love all there colorful burlap, they even have it in 4 metallics over 40 different shades to choose from…..